In Books Tagged In Augusto Pinochet, Chile, dictatorship, Ecuador, Haiti, Imperialism, liberation theology, Miguel d'Escoto, Pope John Paul II, and Rebel Priest. An extraordinary testimony by Claude Lacaille, a Quebec missionary fighting for social justice in Haiti, Ecuador and Chile. 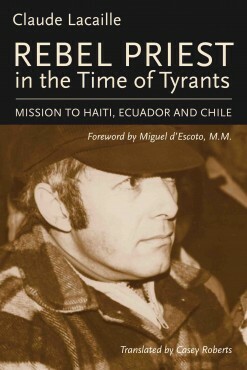 This is Lacaille’s first-hand account of the extraordinary oppression and poverty he witnessed in Haiti, Ecuador, and Chile between 1965 and 1986 where thousands shed blood simply for resisting oppressive regimes, politics and economic doctrines. The men and women featured in Lacaille’s story are an inspiration for those who still believe in a better world. This is an impressive story of courage and solidarity, inspired by a left-wing Christianity truly faithful to the Gospel. Claude Lacaille’s memoir helps understand what “the preferential option for the poor” really means. Like other advocates of Liberation Theology, Claude Lacaille saw it as his duty to join the resistance, particularly against Chilean military dictator Augusto Pinochet. But the dictators were not alone; they enjoyed the support of the Vatican under Popes John Paul II and Benedict XVI. “(a) wonderful testimony… inspired and inspiring pages.” Miguel d’Escoto Brockman, M.M. “This is a moving book.” Ted Schmidt, Editor, The New Catholic Times and Theology in the Vineyard. “Lacaille’s story is at times harrowing. At other times, it is heroic, although he would most certainly deny any heroism. … Rebel Priest is a valuable document. It provides a personal story of a movement in the Catholic Church that stood up against monopoly capitalism and dictatorship.” Ron Jacobs, Counterpunch. 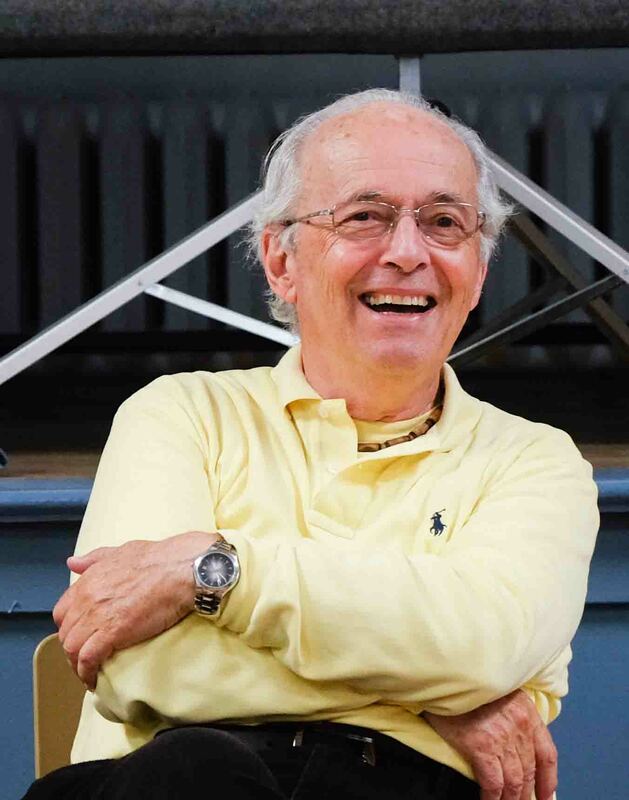 Claude Lacaille is a priest of the Foreign Mission Society (Société des missions étrangères) and a Biblicist who lived in Haiti and Ecuador from 1965 to 1974 and in Chile from 1975 to 1986. Prevented from returning to Chile by both Chilean and Ecclesiastical authorities, Claude Lacaille continued to fight for justice and freedom. He lives in Trois-Rivières, Québec. Miguel d’Escoto Brockman is a Nicaraguan diplomat, politician, and priest of the Maryknoll Society of Missionaries. He served as Nicaragua’s Minister for Foreign Affairs with the Sandinista Government from 1979 until 1990. Publicly chastised by Pope John Paul II, he was suspended by the Vatican in 1985. Pope Francis lifted the suspension August 2014. Miguel d’Escoto presided over the 63rd session of the United Nations General Assembly (2008-2009). Casey Roberts won the John Glassco Prize awarded by the Canadian Literary Translators Association for his translation of the YA novel Break Away, Jessie on My Mind. He lives in Montreal.